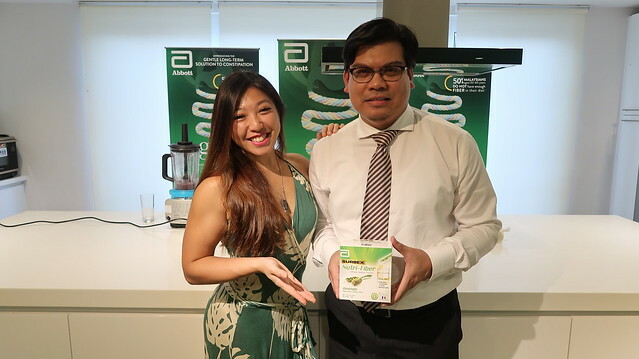 A few weeks back, I was invited by Abbott for their event – Gentle is Good: The Smart Way of Managing Chronic Constipation. Purpose of the day was to share the importance of having enough fiber in your body. I’m always appreciative of events like these because you learn new things while encouraging others to live a healthier lifestyle. Dr Raja, a consultant physician and gastroenterologist at UKM, gave an enlightening presentation about how your gut works, the process of detoxification and how constipation can happen in the body. While speaking to him, I was shocked to learn that a number of Malaysians have a very poor intake of fibre. The recommended dose of fiber in a day is about 25g and more than 50% of Malaysians only getting half or less of the recommended amount in a day. 8.76% have constipation issues and I can tell you constipation isn’t a fun thing to have. I know when i used to have it, i’d freak out, i’d feel bloated and when I did head to the ladies, it won’t be an easy task. I’m sorry that must’ve been too much information but thats really what happens when you have constipation. A balanced diet always includes macro nutrients like protein, carbs and fat. 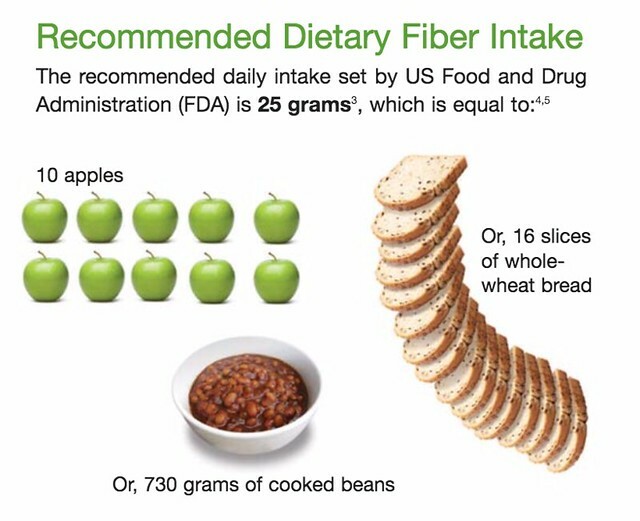 But rarely are we reminded to include fiber in our diet. 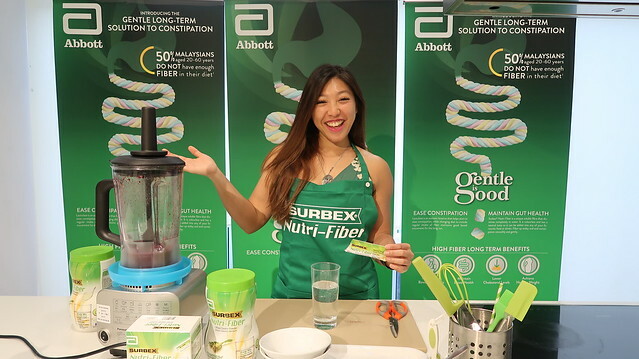 Some people go through extremes in order to ease their constipation problems but it’s good to know there are other solutions that aren’t so extreme on your body, like taking Abbott’s Nutri Fiber which is enough to provide the necessary fiber in day. I was honored to share a healthy smoothie, that I drank during my competition prep. I call it the berrylicious smoothie, packed with antioxidants, fiber, natural sugar and loads of vitamin C.
Here’s the recipe. 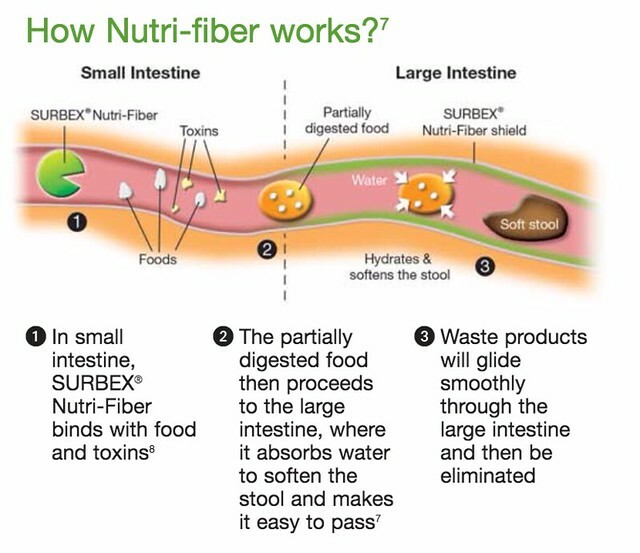 With an additional fiber boost with the NutriFiber. Why it’s a good alternative as part of your dietary intake? Neutral in taste, so don’t worry you won’t taste anything funky. Other than mixing it in plain water, you can also it to smoothies, your baking, and whatever kind of food you maybe eating at the moment. You don’t need a lot, 3 sachets in a day would be sufficient. Your body is your temple and you should take care of it. Ever since I started on my fitness journey, I’ve developed a better understanding of my body and realised how important it is to have good gut health. A healthy gut is the start of a healthy body. Allow me to get personal with you, one of the best ways I know my gut is healthy is when I go to the toilet. Before you start going, oh my gosh are we going to discuss about poop.. YES we are! How often you go to the toilet, how your poop looks in the bowl are all very important things to know. I go regularly to the toilet daily and to me I know i’m detoxing well if i do. Once you start improving your gut health, your body will thank you for it! 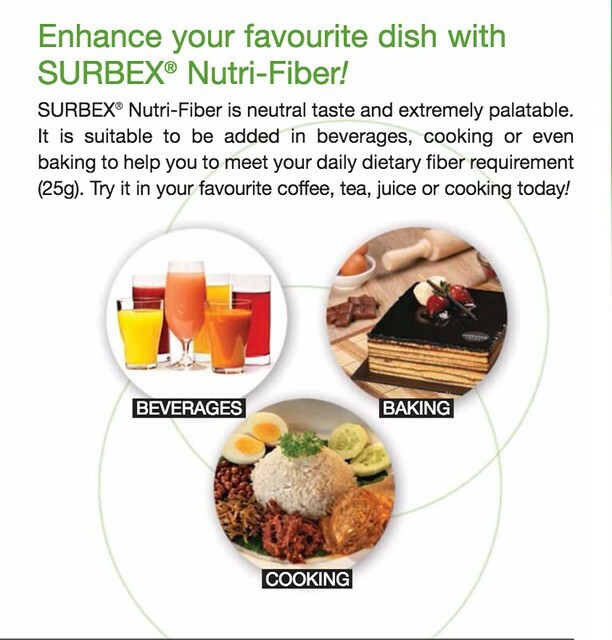 Nutri Fiber is available at pharmacies and health care stores. To find out more, if you are having toilet concerns, check out the following sites and ooo you can redeem samples too!